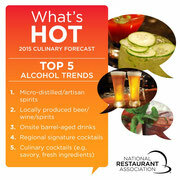 The National Restaurant Association (NRA) each year gets in the kitchen with chefs to reveal the top menu trends for the coming year. 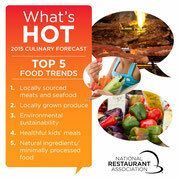 For its annual What’s Hot Culinary Forecast, the NRA surveyed nearly 1,300 professional chefs – members of the American Culinary Federation (ACF) – to find which foods, cuisines, beverages and culinary themes will be hot trends on restaurant menus in 2015. 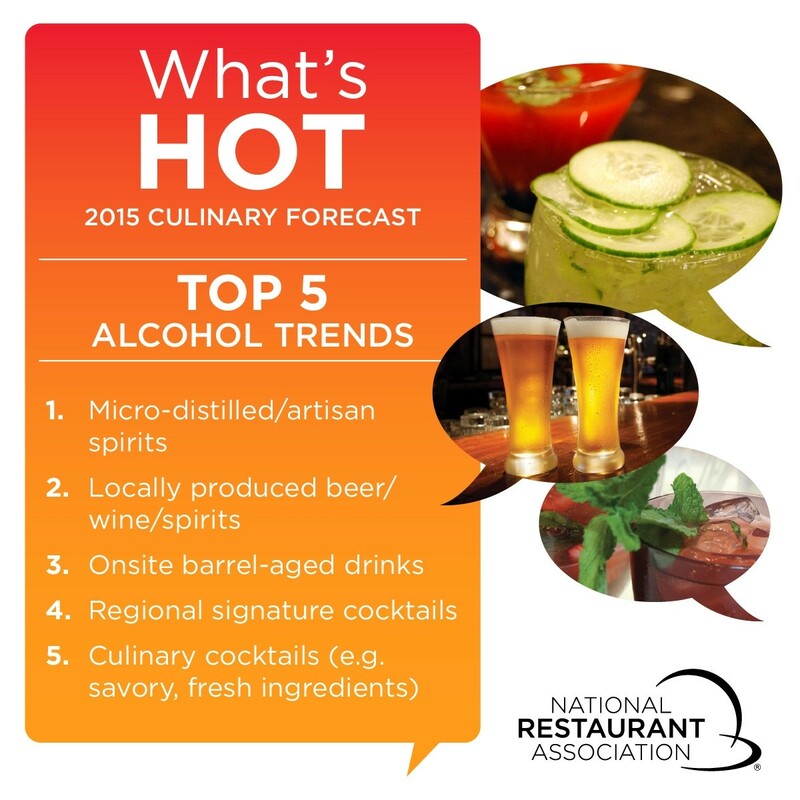 For complete What’s Hot in 2015 results, video and downloadable images, visit Restaurant.org/FoodTrends. 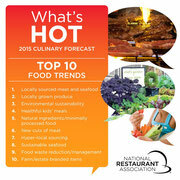 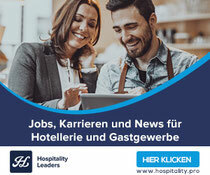 When asked which current food trend will be the hottest menu trends 10 years from now, environmental sustainability topped the list, followed by local sourcing, nutrition and ethnic cuisines and flavors. 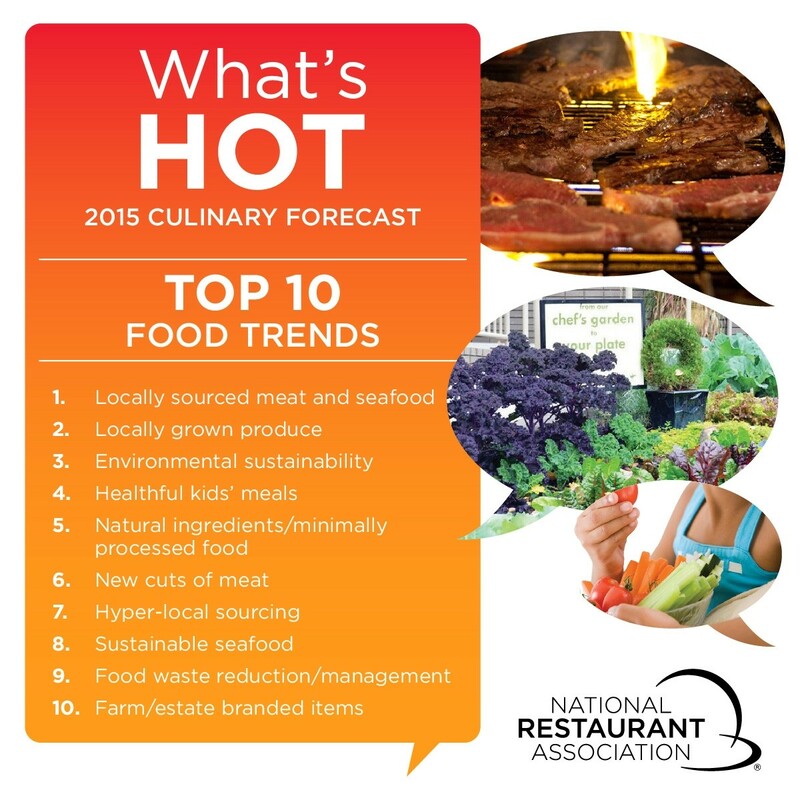 The NRA surveyed 1,276 American Culinary Federation members October-November 2014, asking them to rate 231 items as a “hot trend,” “yesterday’s news,” or “perennial favorite” on menus in 2015.